Expand the panels below for more information pertaining to noxious weeds in Becker County. Eradicate List - Prohibited noxious weeds that are listed to be eradicated are plants that are not currently known to be present in Minnesota or are not widely established. These species must be eradicated, meaning all of the above and below ground parts of the plant must be destroyed, as required by Minnesota Statutes, Section 18.78. Additionally, no movement, propagation, or sale of these plants is allowed. Measures must also be taken to prevent and exclude these species from being introduced into Minnesota. Controlled List - Prohibited noxious weeds that are listed to be controlled are plants that are established throughout Minnesota or regions of the state. Species on this list must be controlled, meaning efforts must be made to destroy all propagating parts and prevent seed maturation and dispersal, thereby reducing established populations and preventing reproduction and spread as required by Minnesota Statutes, Section 18.78. Additionally, no movement, propagation, or sale of these plants is allowed. Restricted Noxious Weeds - Restricted Noxious Weeds are plants that are widely distributed in Minnesota and are detrimental to human or animal health, the environment, public roads, crops, livestock or other property, but whose only feasible means of control is to prevent their spread by prohibiting the importation, sale, and transportation of their propagating parts in the state except as allowed by Minnesota Statutes, Section 18.82. Plants designated as Restricted Noxious Weeds may be reclassified if effective means of control are developed. Specially Regulated Plants - Specially Regulated Plants are plants that may be native species or have demonstrated economic value, but also have the potential to cause harm in non-controlled environments. Plants designated as specially regulated have been determined to pose ecological, economical, or human or animal health concerns. 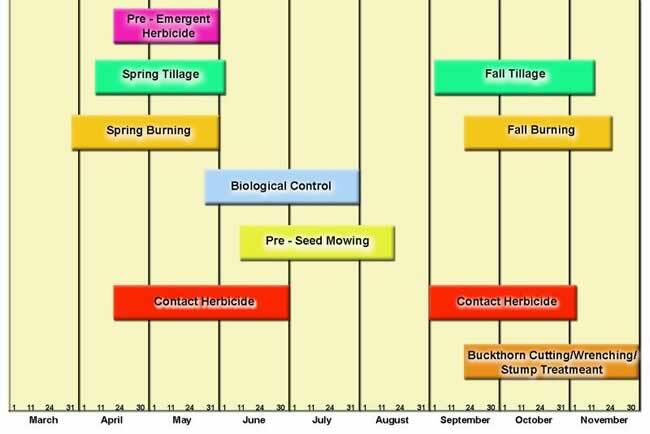 Plant specific management plans and or rules that define the use and management requirements for these plants will be developed by the Minnesota Department of Agriculture for each plant designated as specially regulated. Measures must also be taken to minimize the potential for harm caused by these plants. County Noxious Weeds - County noxious Weeds are plants that are approved by individual county boards to be prohibited within the counties jurisdiction. Each county must annually submit their approved County Noxious Weed List to the Minnesota Department of Agriculture no later than March 31st. The Minnesota Department of agriculture will post the most current County Noxious Weeds on their web site for public review. County noxious Weeds shall also be posted with the county's general weed notice prior to May 15th each year. Counties are solely responsible for approval and listing of County Noxious Weeds and their enforcement. Prohibited noxious weeds must be eradicated or controlled as required in Minnesota statutes. Japanese Hops Humulus japonicas Siebold & Zucc. Dalmation Toadflax Linaria dalmatica (L.) Mill. Common Teasel Dispsacus fullonum L.
Cut-leaved Teasel Dispsacus laciniatus L.
Narrowleaf Bittercress Cardamine impatiens L.
Restricted noxious weeds are prohibited from importation, sale, and transportation in the state except as provided by Minnesota Statutes. Glossy Buckthorn (& all cultivars) Frangula alnus Mill. Manage small infestations immediately - Small weed populations can be managed quickly and efficiently. Contain large weed infestations - Large weed populations take many years to manage, avoid the spread of existing infestations. Education of the public is important - Inform landowners on key weed problems and how to identify important weeds. Use an IPM approach when possible - Integrated Pest Management techniques used together, have shown greater results than using one weed management technique alone.